Yogyakarta in Central Java makes for a handy base to explore the surrounding region. The city is nearby to the world heritage sites of Borobudur and Prambanan, as well as the perpetually-smoking Gunung Merapi volcano. It’s also a great place to just hang out for a few days. There are plenty of interesting sites, and the city is well set up for travellers. 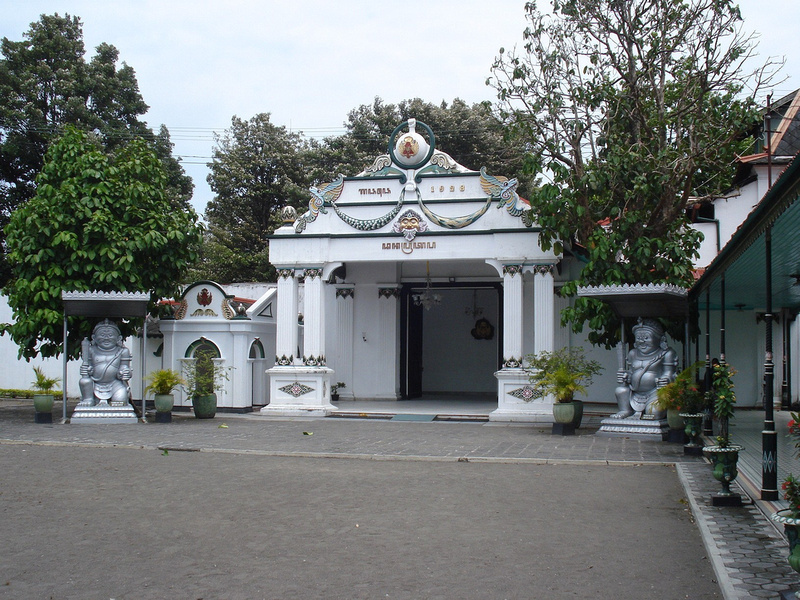 The Kraton is a walled royal enclave in the heart of Yogyakarta. It is a city in itself with residences within the walls as well as palaces, museums, temples and the home of the Sultan. 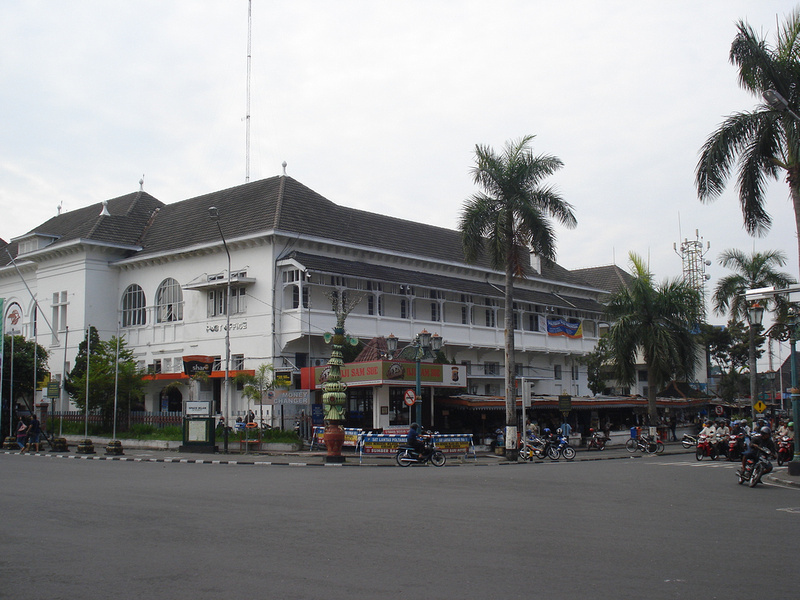 JL Malioboro is the main street of Yogyakarta. 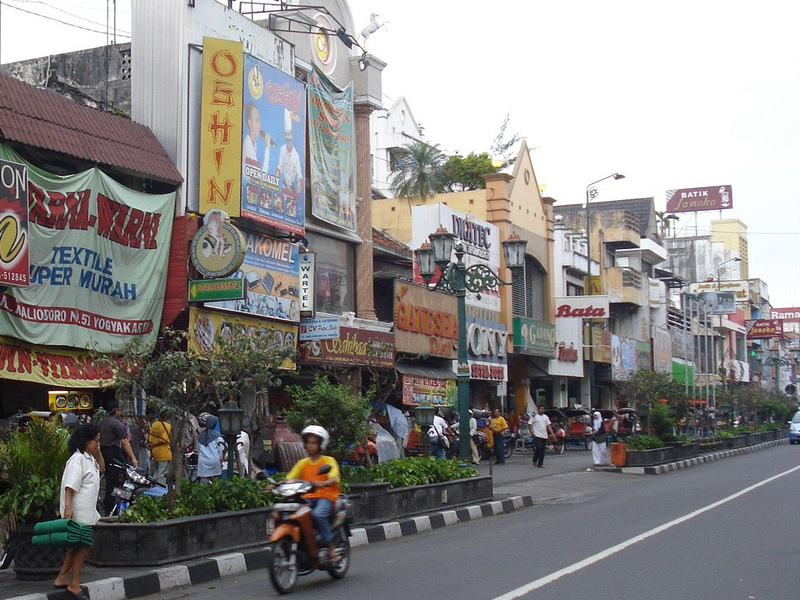 Here you’ll find stalls and cheap souvenir shops sitting beside air conditioned shopping malls. A great place to find Indonesian products such as batik art, topeng masks and wayang golek puppets. Taman Sari (Water Castle) is a complex that can be found within the Kraton. The area was a system of palaces, pools and canals, which is mostly ruins today. 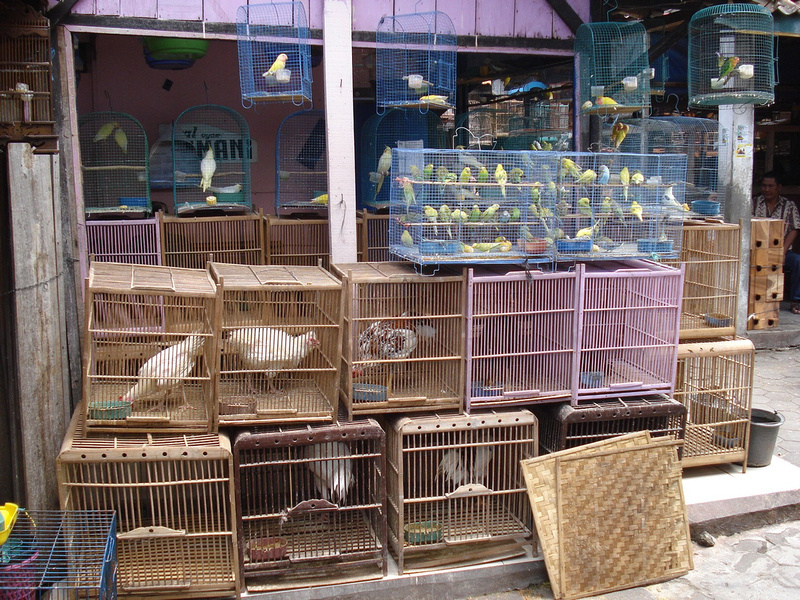 Walk around the lanes of Pasar Ngasem (Bird Market) to see thousands of birds as well as exotic and domestic animals for sale. 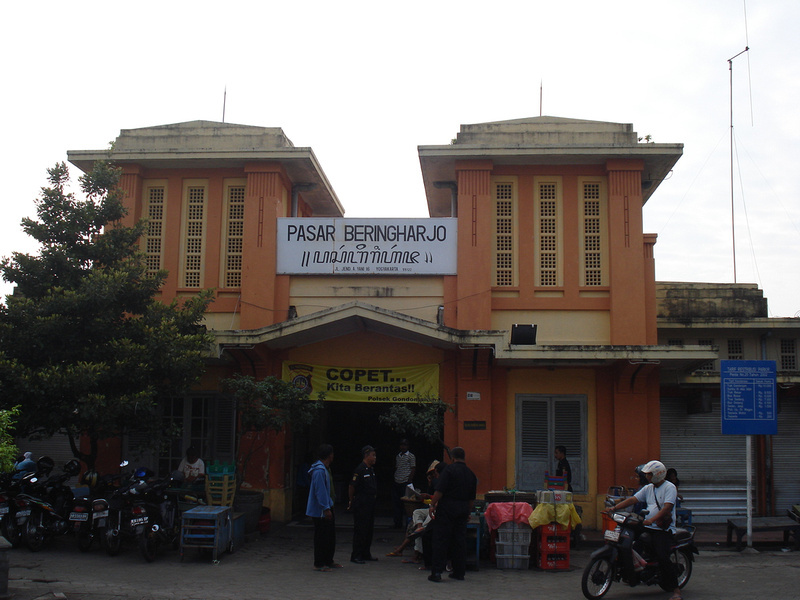 Pasar Beringharjo is the main market of Yogyakarta. Wander through the food and spice markets, check out the antiques and curios, or shop for batik or other souvenir items. 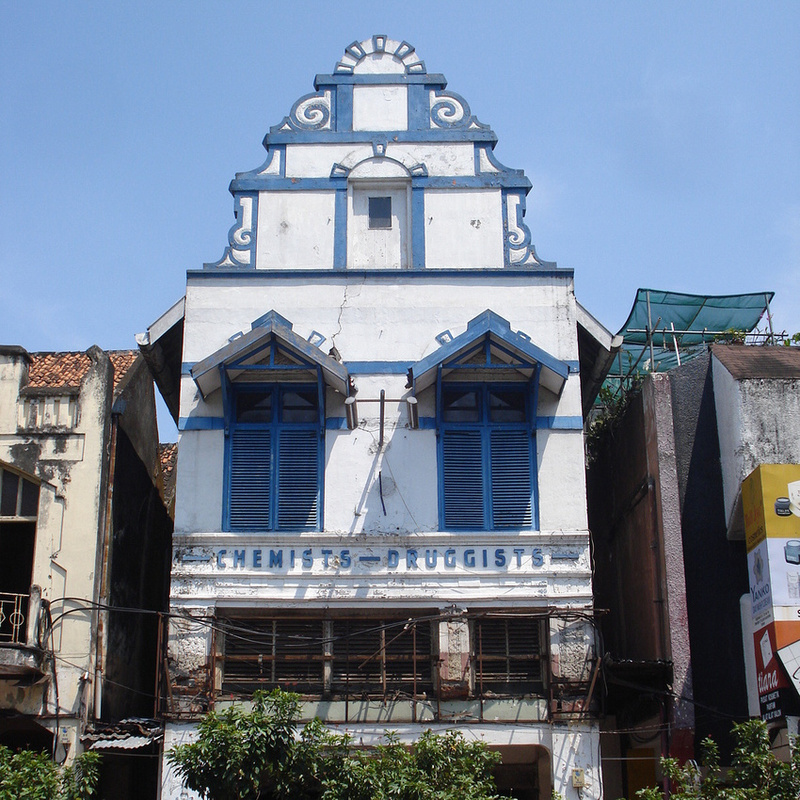 There are still building that remain from the era of Dutch colonial rule in Yogya. The most notable are public buildings, such as the post office, and bank offices. Yogyakarta hotels – Search for discount hotels in Yogyakarta. Yogyakarta (indonesia.travel) – Yogyakarta (or Jogjakarta) travel information from the Ministry of Tourism. 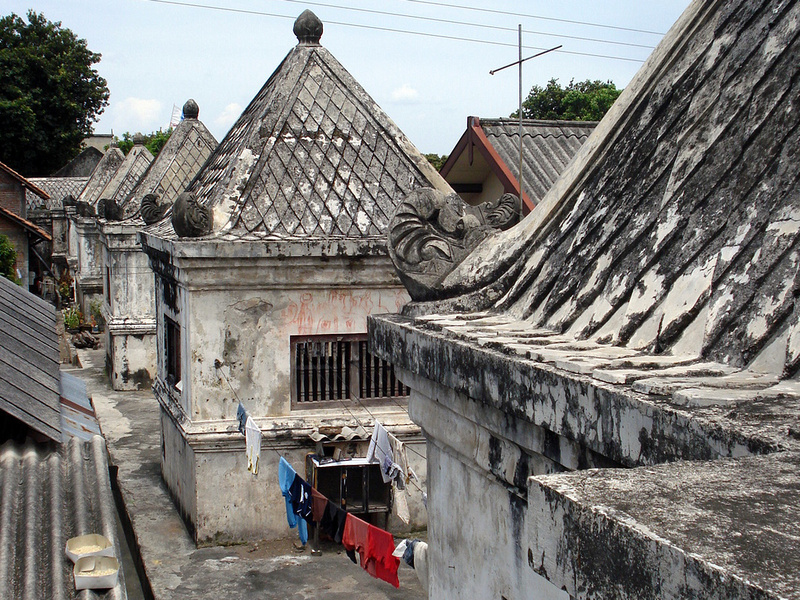 Jogja Tourism – Travel information for Yogyakarta as well as Borobudur and Prambanan Temples. Things to do in Yogyakarta – temples & beyond – a guide by thecrowdedplanet.com. Kopi Joss – The charcoal coffee of Yogyakarta – If you are a coffee lover you must try the strange yet delicious charcoal coffee. Yogyakarta Tours – Attractions and things to do in Yogyakarta. Lonely Planet Indonesia (Travel Guide) – Covers Yogyakarta and onward travel in Java. Raffles and the British Invasion of Java – In 1811 the British invaded the Dutch colony of Java and remained for five years. The book covers the 1812 sacking and looting of Yogyakarta. Yogyakarta Photo Gallery – Photo gallery of my trips to Yogyakarta.